2012 press releases, media mentions, industry commentary, internal company news and announcements from Energy Matters. According to research by Energy Matters, 38% of Australians said they will have a much leaner Christmas this year due to escalating electricity prices. Read more. Energy Matters has teamed up with Byron Bay’s Juno Energy to provide commercial customers and households in that region with expert solar installation services. Read more. Australia’s most famous street for Christmas lights is now greener, thanks to solar power systems supplied by Energy Matters. Read more. Customers purchasing solar panel systems from Energy Matters based on Power One inverters will receive a bonus 5 years warranty on the inverter; taking total coverage to a decade. Read more. SolarEdge inverters and Power Optimizers are now in stock at Energy Matters; offering home owners increased flexibility and energy harvesting from their rooftops. Read more. A solar panel array mounting system may not get the attention of other components of a solar power system, but buy the wrong type or install it incorrectly and the results can be disastrous says Energy Matters. Read more. Energy Matters’ commercial solar power division will be running two half day seminars next (Wednesday 28 November) in Perth in partnership with Western Power and the Alternative Technologies Association. Read more. The rush on solar power systems to beat the subsidy cut deadline could see some installers running short of system components; a problem that Energy Matters says it won’t be faced with – the company already has additional solar panels making their way to Australia. Read more. Those rushing to have solar panel system installed before the Solar Credits axe falls need to carry out due diligence says Energy Matters. Read more. Old wisdom applies to new technology too; including solar power. Solar scams appear to be spreading from targeting households to commercial-scale customers according to Energy Matters’ commercial team. Read more. Australian made and designed SunLock solar panel mounting systems, produced by Energy Matters’ sister company Apollo Energy, achieved over 6% market share during the last financial year. Read more. Energy Matters CEO Jeremy Rich is in the running for roles on the Board of Australia’s Clean Energy Council (CEC) and also its Solar PV Leadership Committee. Read more. Members of The Energy Savings Social Club receive a free advice on energy efficiency, a monthly newsletter, are invited to free get-together events and are eligible for special energy-related offers through the club’s partners; which now include Energy Matters. Read more. A new device launched by Energy Matters will assist Australian solar households in monitoring their solar arrays and to take more control over their power consumption and costs. Read more. Electricity costing just a few cents per kilowatt hour doesn’t have to be a thing of the past says Energy Matters. Read more. The Big Strawberry celebrated the installation of its new solar power system on Sunday with the help of the local community, Moira Shire Councillor Garry Jones and national solar solutions provider Energy Matters. Read more. Sustainable House Day gives people an opportunity to look through houses that have been designed, built or renovated with sustainability in mind and talk to their owners. Read more. Energy Matters has released a short video to help consumers in selecting solar modules and to highlight the fact not all solar panels are equal. Read more. A solar leasing agreement with Energy Matters has been so successful, Ulrich Aluminium is considering expanding the initiative. Commercial solar leasing is expected to become even more popular given recent electricity price rises (SBS news report). More on commercial solar power : More on Ullrich Aluminium solar leasing project. Energy Matters experienced a massive weekend as Queensland households continue the race to secure a solar power system before the state’s feed in tariff is cut. Read more. On Meet The Press on Channel 10 and ABC’s Q&A, Minister for Climate Change and Energy Efficiency Greg Combet claimed the carbon abatement cost of solar panels was “anything up to $400 a ton of greenhouse gas emissions that are reduced.” This figure is gross exaggeration according to Energy Matters. Read more. 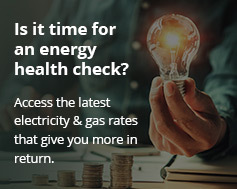 After the Queensland solar feed in tariff bombshell, Energy Matters has swung into action; offering additional assistance to households before the Newman Government’s razor slices the incentive for new applications to the bone. Read more. Australian businesses with rooftops suitable for solar panel installations can wipe out their daytime load electricity costs courtesy of the sun according to Energy Matters’ Nick Brass. Read more. Commentary from Energy Matters CEO Jeremy Rich in Giles Parkinson’s article on the popularity of rooftop solar (The Australia). Read more. Origin Energy’s reasoning behind wanting changes to Australia’s Renewable Energy Target is questionable says Energy Matters’ Nick Brass. Read more. Energy Matters CEO Jeremy Rich comments on the state of renewable energy uptake in Australia in an article by The Age’s Adam Cooper Read more. Energy Matters has a released a video demonstrating the differences in quality that can be found in inverter brands and their impact on inverter life and efficiency. Read more/view video. REC has launched a certification program including warranty extension for modules installed by suitably qualified REC Solar Professionals. Energy Matters is the first Australian company to gain the accreditation and able to offer the additional product warranty. Read more. Energy Matters to install what will be Australia’s largest privately-owned rooftop solar panel system for NEXTDC at its Port Melbourne data centre. Read more. The results of the Clean Energy Council’s (CEC) Solar PV Elections have been announced and Energy Matters’ CEO Jeremy Rich is among the members who will form the organisation’s Solar PV Leadership Committee. Read more. Energy Matters representatives will be attending Greening for Growth Forum 2012, an opportunity for small business owners to learn about products and services that can help save money by reducing power and water usage. Read more. After further recent Australian studies criticising the cost of solar power were released, Energy Matters CEO Jeremy Rich again pointed out analyses continue to base findings on old data and fail to factor in all the benefits of the technology. Read more.